As prices fall, a growing number of Melbourne households are becoming interested in installing battery storage for solar energy. It is now possible to compare battery storage installers and prices in Melbourne by requesting a Battery Storage Quote Comparison from Solar Choice. What else do Melbourne homeowners need to consider before deciding on an installer and products? This article provides a breakdown. We here at Solar Choice have written extensively on the topic of home energy storage for solar households in Australia and in Victoria. Before deciding on a system, we encourage homeowners to carefully consider and compare all of their options and make sure that they understand the potential benefits and pitfalls of having a system installed. 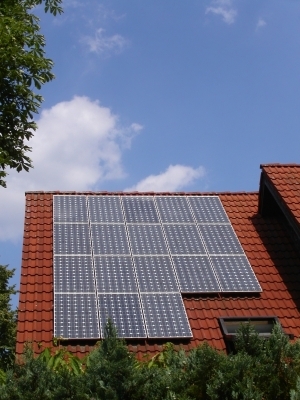 You do not yet have a solar PV system installed. Depending on which one of these situations you’re in, your energy storage needs will differ. If you’re in category 1, it will most likely not be in your best financial interest to have batteries installed at this point in time. The extremely generous 60c/kWh solar feed-in tariff which you are currently receiving will continue to be paid out until 2024. Because your solar energy is worth more to you if you sell it into the grid, you have little financial incentive to try to consume it yourself at home. That being said, you may want to consider installing batteries when 2024 rolls around and the Premium FiT expires – A solar PV system has an expected lifetime of 25 years. If you’re in category 2, you were until recently paid either 25c for every kWh of solar energy that you put into the grid (Transitional FiT) or you are paid at a ‘one-for-1’ rate (i.e. equivalent to what you pay for retail electricity) for every kWh of solar electricity that you export to the grid (Standard FiT). Now that these benefits have ceased, you will receive only a voluntary retailer payment – probably around 6-10c/kWh if the rates to date are anything to go by. If you’ve already had your solar system for a few years, it will have paid itself off by this point, so it may make sense for you to install a battery bank. The battery bank of optimal size for your home will be one that ‘soaks up’ the solar energy you produce that would otherwise go into the grid for at a nominal rate – check your electricity bill to see how much you export on average. Alternatively, you may want to consider installing a monitoring or energy management system so that you have a more detailed idea of what your energy storage needs will be when you’re ready to install a system. If you’re in category 3, you may already be looking to retrofit batteries to your system because any solar power you send into the grid is essentially wasted – you get paid only 6-8c/kWh (depending on your retailer). Batteries can help you prevent this from happening. Since your payments are already low, now is as good a time as any to install batteries, provided you know how much battery storage capacity you need and that you’ve found a good deal on a system. You should be able to see on your electricity bills how much solar you export to the grid – you’ll want a battery bank that will be able to capture that amount (or smaller). Alternatively, installing a monitoring or energy management system will help you get a more detailed idea of your energy storage needs and the right size for you. If you are in category 4, and you know that you don’t want a solar-only system, you are probably in the market for a combined solar-plus-storage system. If you’re in this situation, you have a lot of flexibility in selecting a solar and storage system sizes (and you might want to read our article: How much battery capacity do you need?) If you can afford it and it makes financial sense for you, you might decide to have a system installed as soon as you find a good deal. Having an energy monitoring or energy management system installed may help you cut down on your energy consumption and will also allow you to get a detailed idea of how much battery capacity you need.